Even though the official 58th Annual Grammy Awards ceremony doesn’t begin until 8pm ET tonight, we already know who won in all of the prestigious award show’s jazz categories. No, we didn’t pay anybody off to get the information… Just like in years past, most of the awards this year will be presented during the “pre-telecast” ceremony at the Microsoft Theater; right across the street from the Staples Center, where the main event is taking place. Around 70 awards are being (quickly…) presented during the pre-telecast to make room for more performances and acceptance speeches from mainstream performers during the main event. In the past, we’ve written at length about jazz being continuously marginalized at the Grammys. But this year, 12-year-old pianist Joey Alexander will carry the torch for the genre as the first solo jazz performer to appear in the main telecast in recent memory. The Motema artist is also nominated for the ‘Best Improvised Jazz Solo’ and ‘Best Jazz Instrumental Album’ Grammys. “Cherokee” – Christian McBride (soloist) – Winner! For One to Love – Cécile McLorin Salvant – Winner! Past Present – John Scofield – Winner! The Thompson Fields – Maria Schneider Orchestra – Winner! Made in Brazil – Elaine Elias – Winner! Sylva – Snarky Puppy & Metropole Orkest – Winner! “Little Ghetto Boy” – Lalah Hathaway – Winner! 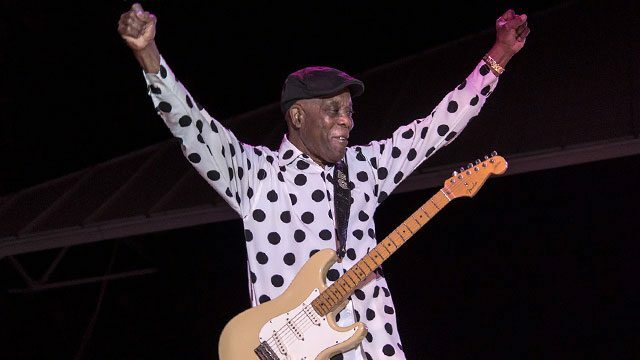 Born to Play Guitar – Buddy Guy – Winner! Birdman – Antonio Sánchez, composer – Winner! “The Afro Latin Jazz Suite” – Arturo O’Farrill (composer) – Winner! In the other categories, rapper Kendrick Lamar leads the pack with a total of eleven nominations – Including the coveted ‘Album of the Year’ and ‘Song of the Year’ awards. This should come as no surprise to any fan of real music. With arrangements by saxophonist Kamasi Washington and notable appearances from the likes of Thundercat and Robert Glasper, the album, in addition to being supremely culturally and socially relevant, has jazz flowing through its every corner. Singer Taylor Swift and rapper The Weeknd follow behind with a total of seven nominations each. For the full list of winners, head over to the Grammys Website.